The summer is here and so is the time to make sure that your house has a good supply for batteries. Whether you need them for the kids toys, your digital camera, flashlight for storms or something else we use them constantly. This summer Rayovac is having a promotion along with 5 Minutes For Mom to help share how important fun summertime moments are for the entire family. Here are details on how you can join the fun. 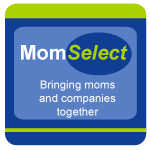 #1 – Show us that you "like" the Rayovac brand and products on Facebook at www.facebook.com/RayovacFans and together with expert moms at 5 Minutes for Mom, they will offer great daily summertime family tips and a chance to win great prizes. 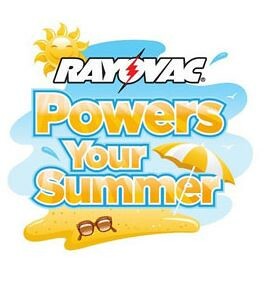 From June 21st to July 20th, access and complete the entry form on Rayovac’s website at www.rayovac.com/PowersYourSummer. Then tell them how you will "power your fun" this summer every day for the chance to win prizes ranging from cameras and bikes to camping supplies and a summer supply of Rayovac batteries. No hoops to jump through, simply tell them how you and your family add the "Power of Fun" to your summer. The Twitter Event will feature more than 20 fun giveaways from Rayovac ranging from a summer supply of Rayovac Batteries to $50 Target Gift Cards. 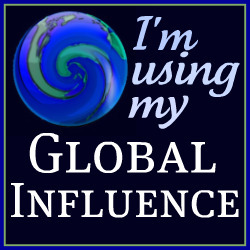 You must be a US resident and 18 or older at the time of entry to enter the Promotion or the Twitter Event. Be sure to Power Your Summer and have fun participating. Disclosure: The first 99 bloggers to promote the Rayovac Powers Your Summer Promotion and the the Rayovac Powers Your Summer Twitter Event will win a prize package from Rayovac.